“Socrates had no one to foretell his birth. Buddha had no one to pre-announce him and his message, or tell the day when he would sit under the tree. Confucius did not have the name of his mother and his birthplace recorded, nor were they given to Men Centuries before he arrived, so that when he did come, Men would know he was a Messenger from God. But, with Christ it was different. Because of the Old Testament Prophecies, His Coming was not Unexpected. 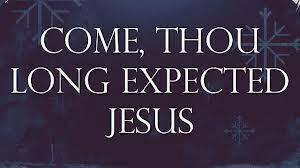 There were no Predictions about Buddha, Confucius, Lao-tze, Mohammed, or anyone else; but there were Predictions about Christ. Others just came and said, “Here I am, believe me”. They were, therefore, only Men-among-Men and not the Divine in the Human. Christ alone stepped-out of that Line saying, “Search the Writings of the Jewish people and the Related History of the Babylonians, Persians, Greeks, and Romans”.